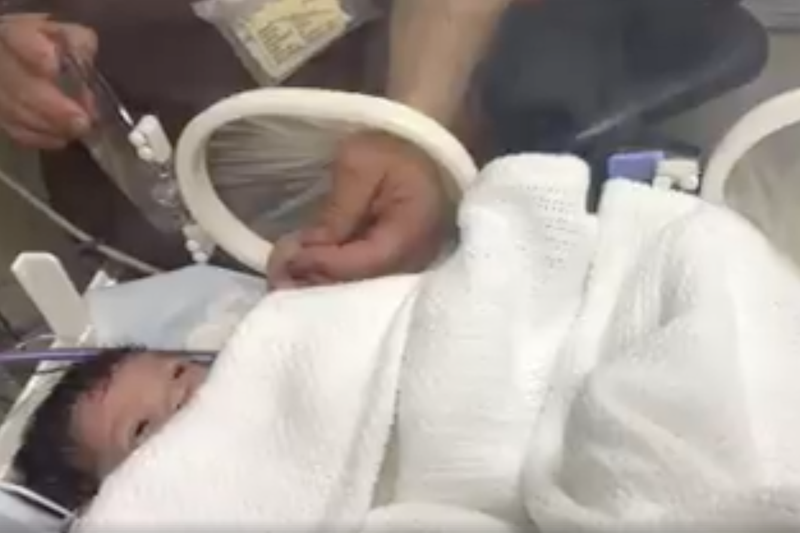 A new video of the miracle baby rescued from a stormwater drain on Monday has emerged. According to news reports, the eThekwini Metro Police's Search and Rescue Unit - along with the Durban Fire Department and Rescue Care medics, rushed to a home in Newlands East on Monday morning after receiving reports that a passerby had heard the infant's cries from a stormwater drain on Baracuda Road. Emergency services dug into the pipe, cut it open, and managed to get the little one out. In the video posted on social media, the community can be heard cheering as the little one is lifted out of the ground crying and kicking. Also: Watch: Baby found abandoned gets a new chance at life! The East Coast Radio news team spoke to the medical team looking after the little one. Listen below.